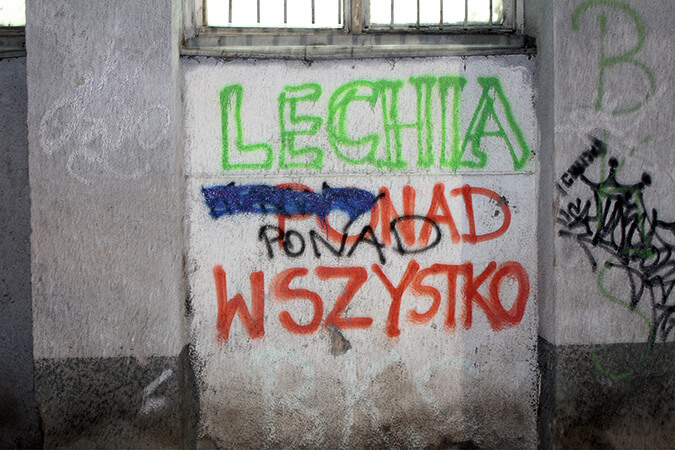 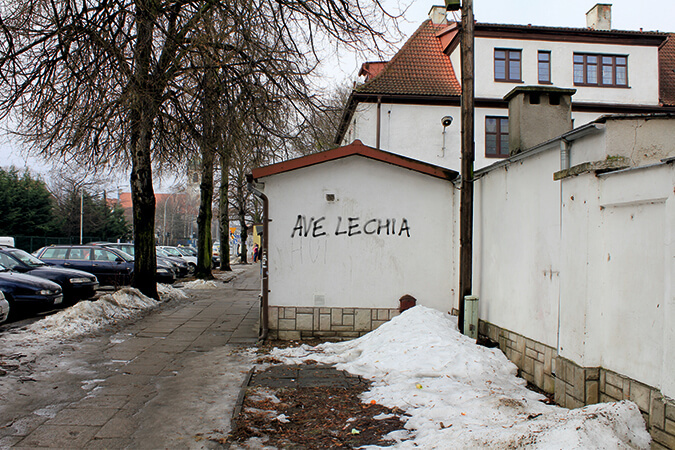 description: The research project, Lechia Gdańsk, implemented in 2010-2011, was an opportunity to look at and try to read the specifics of the expression of the observed groups through graffiti or murals made by them, found in the public space of Gdańsk districts, especially the places like: Lower Town, Orunia, Osiek, Siedlce, Oliwa, Nowy Port, Letnica, Przymorze, Zaspa and Brzeźno. 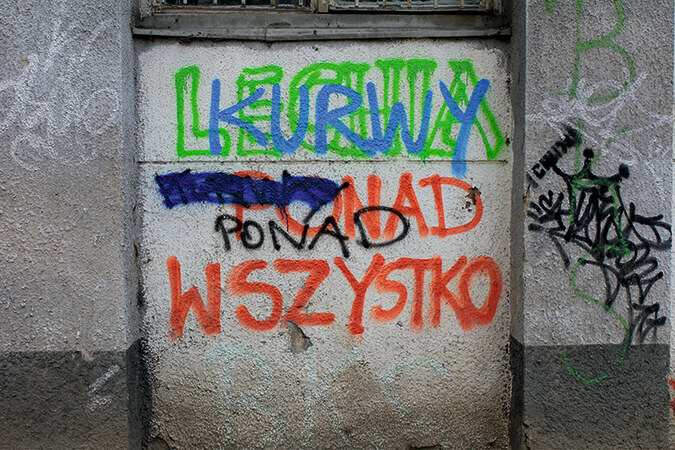 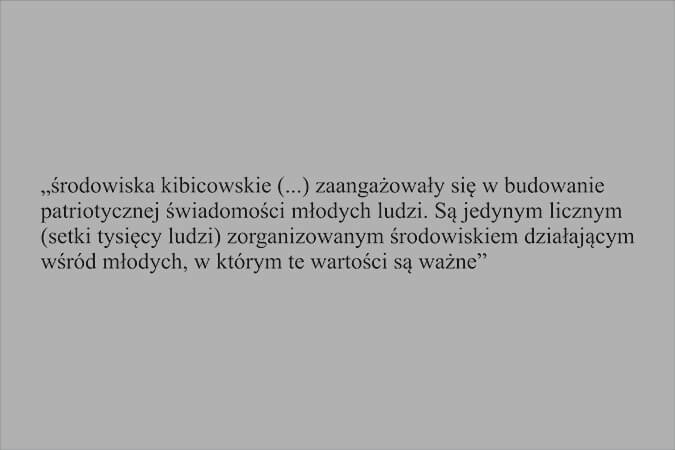 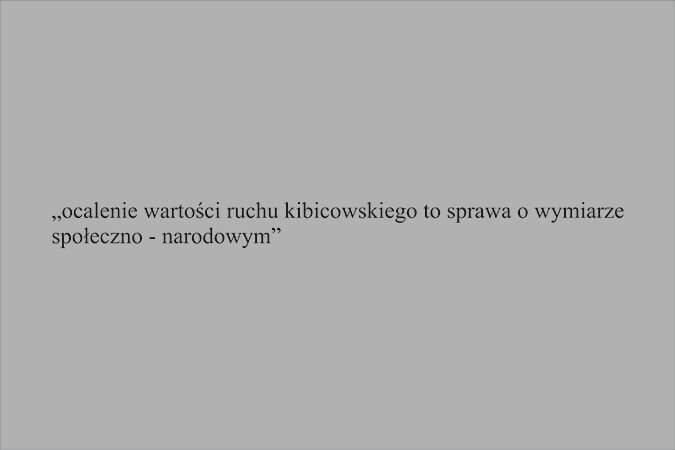 Also the quarters of Lower Wrzeszcz like: Aniołki, Emaus, Młyniska, and Kuźniczki have been penetrated in search for expression’s and characters, as well as, forgotten districts of Gdansk walls of buildings - gymnasiums, underpasses, gates. 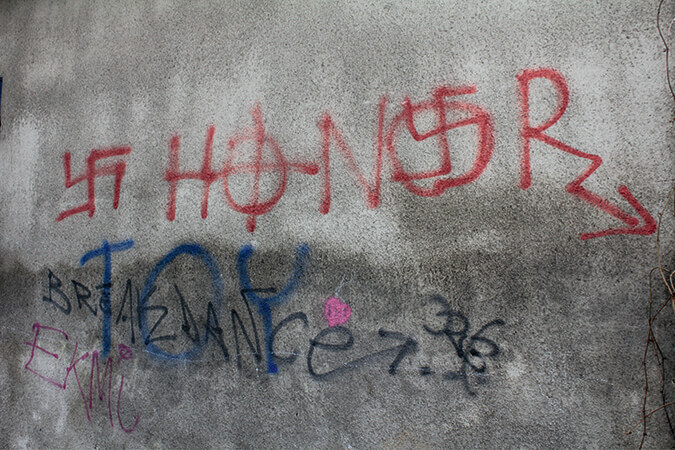 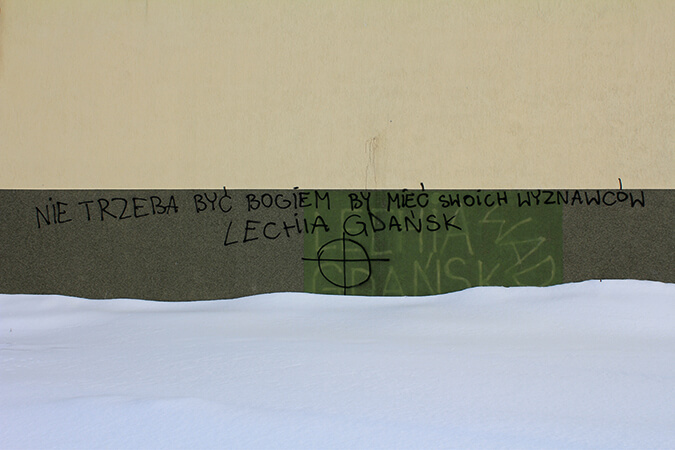 The artist attention was fokused in particularly on the inscriptions in form of graffiti made by fans of Lechia Gdańsk, or symbols such as: swastikas, crosshairs, phalanx - signs characterizing and defining the ONR organization. 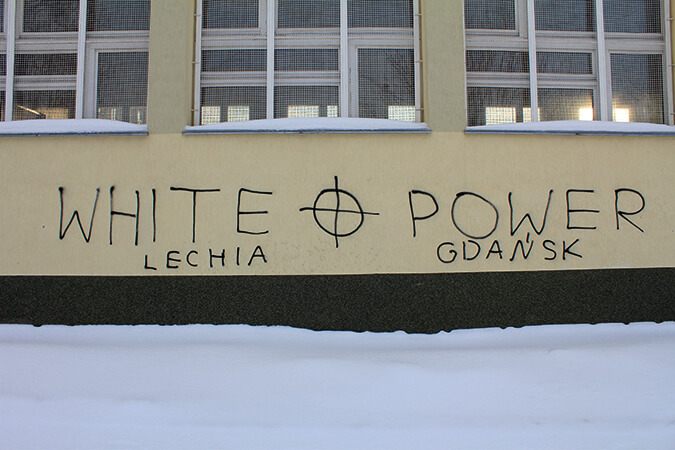 The most expressive, clear, extreme in their message - as hate speech - revealing intolerance, extreme nationalism, racism, referring to nationalist movements - fascism.